This cdj stand will hold any table-top cdj, most mixers, up to a 17” laptop or even an effects module. Stylishly designed to keep all units in optimum positioning, the wing stand allows you to dj unhindered, regardless of set-up and combination. 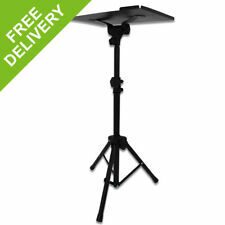 Ideal for mounting a single lighting effect on the Equinox DJ Booth MK Overhead Kit MK2. (Booth & Overhead Stand Kit Not Included). Ideal for use on the uprights of our DJ Booth Overhead kit (EQLED12R). Stand & Cases. Pro Audio & Lighting. Height adjustable in 5 positions, 3cm (1.2") apart - Min height: 23cm (9.5"), Max height: 35cm (13.8"). When we have received the item back it will be checked to confirm the fault. 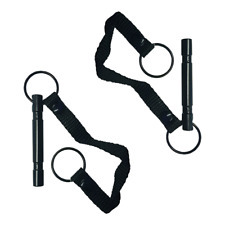 Sale is for a pair of lift off hinges in black. ( pair as photo ). Inner box quantity 1. Product EAN 5021196031512. With a load capacity of 165 lbs (74.8kg), the clamp securely mounts almost any type of effect light, wash light, laser or moving head to your truss system. Fits: 1.3in (35mm) truss. Pro Audio & Lighting. Dj Booth & lighting truss. Condition is Used. Note the lights/speakers are NOT included in the sale, it is just the booth and lighting truss. The item is in good condition. The booth/truss are 2.4m long so collection in a large van would be needed. If needed a buyer could cut the main front board to make this fit in a smaller van. Also I have fitted LED RGB strip under the deck board. if you look at the photos, I have pictures of uprights bolted on. Uprights have power running up the middle. you get a lot of extras on this so its a great price already. Colour: Black. Length between supporting thread and tube: 120 mm. 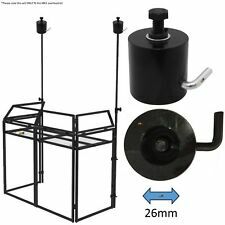 High Quality Microphone Stand Stereo Bar - Add 2 Mics to 1 Stand! Depth (mm): 30. Full detailed specifications are available from the manufacturer's brochures or their websites. The intention of London Car Audio is that all information on the website should be as accurate and up to date as possible. 5 out of 5 stars - High Quality Microphone Stand Stereo Bar - Add 2 Mics to 1 Stand! 1 product rating1 product ratings - High Quality Microphone Stand Stereo Bar - Add 2 Mics to 1 Stand! Numark Laptop Stand Pro DJ Performance Stand For Laptop Computer. Designed to quickly mount a light effect to a 2″ (52mmØ) truss and allow the light to be rotated 360°. The clamp features a narrow body for use within the “V” of truss diagonals. Quick rigging of lights. Length: 6' to 10' extendable Crossbar. 1x Crossbar (6ft-10ft). Sale is for a pair of lift off hinges. Inner box quantity 1. Product EAN 5021196031512. It features two convenient slots to keep your headphone cables neat and tidy, and the plastic set screw tip protects your desk's finish. Steel clamp with a plastic hanger. Holds 1-2 headphones or headsets. Truss Light Stand Bridge Gantry 3M, Condition is Used. Can be used as a gantry or two separate T bars. A little damage as shown in one of the pictures.